Luckily, because I already had her autograph, I did not have to endure the book signing lines, which were absolute bedlam. People were lined up outside the door of the Town Hall and the line was snaking down the street. Nigella's latest book is called Simply Nigella. Tim gave it to me for my birthday last year. While we were waiting for Nigella to appear at Nigella in Conversation, I was intrigued by a gorgeous looking chocolate cake that came onto the screen, which I thought was topped with blueberries. I subsequently discovered that it was actually a Liquorice and Blackcurrant Chocolate Cake, and the berries on top were blackcurrants. Apparently, the unusual flavour combination is meant to imitate sweets that Nigella enjoyed growing up. Regular readers will know that I have an affinity for cakes that are slightly off the beaten track, so I had to make this cake. Getting liquorice powder was not easy, and I ended up having to buy it from eBay, and it was not cheap ($7 for the sachet). The base cake is a delightful chocolate sponge-style cake, lightly flavoured with liquorice. Two layers are sandwiched together with blackcurrant jam (which I was surprised to find in the Woolworths Select range for a song), and topped with a fudgy chocolate and liquorice flavoured icing. 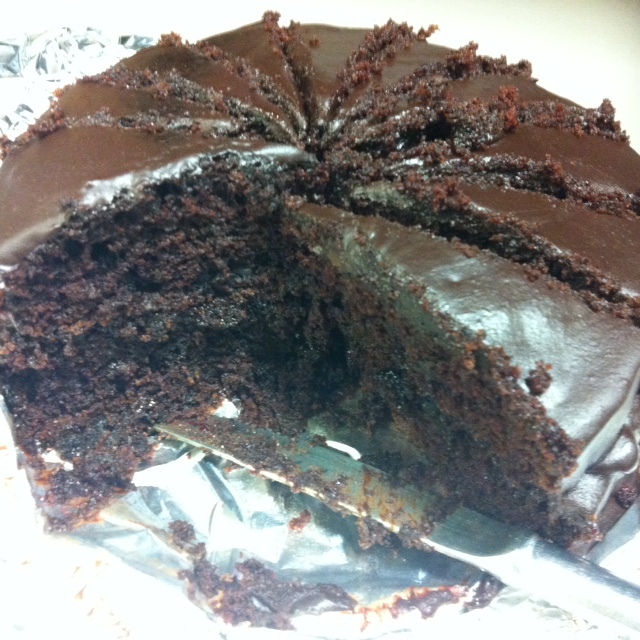 This cake is so moist and delicious. The blackcurrant adds a tart zing to the cake. The liquorice flavour was really only barely there - it just leaves a slight heat on your palate, and is not really noticeable. That is a bonus for liquorice haters, but does make me wonder whether it was worth buying the liquorice powder! I love liquorice, so now that I have the liquorice powder, I am going to tackle Linda Lomelino's Chocolate Liquorice Cake. wow that looks really interesting - I remember seeing a liquorice cake on bite sized thoughts too - I would have loved to see nigella talk but I am not even organised enough to have known she was in melbourne til afterwards. just thinking wouldn't it be great to have a local bloggers caddy where when we all wanted to try something like this we could share the liquaorice powder or odd ingredient - so often I end up with a lot of an ingredient just to use a little! Johanna, that is a great idea. Perhaps we can band together and set up a website listing unusual or pricey ingredients that we are happy to share among members of the group. Definitely worth considering. Alternatively, we could set up a forum where people could ask does someone have (eg licorice powder) that they would be willing to provide some of for a baking or cooking project - then forum members could contact them direct without advertising what they have to everyone. It's always nice when a public figure is enjoyable in person. When we went to see David L in NYC last year, I was truly surprised at how gracious he was in person. I like the fact that the liquorice flavour is relatively light here. The texture looks so good too. I'm really interested to learn of licquorice powder. 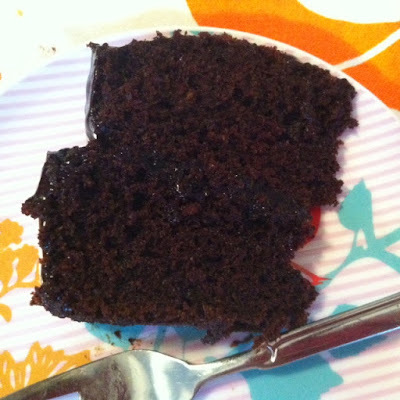 I've made liquorice cake but used liquorice pieces boiled down and it was a bit of a process. This sounds delicious. Gaye, what a lovely flavor combination - I know licorice powder, I have seen in stores and at some food fairs that I attended. I was always wondering what I could use it for - I saw some Macaroons with it the other day - another great idea. 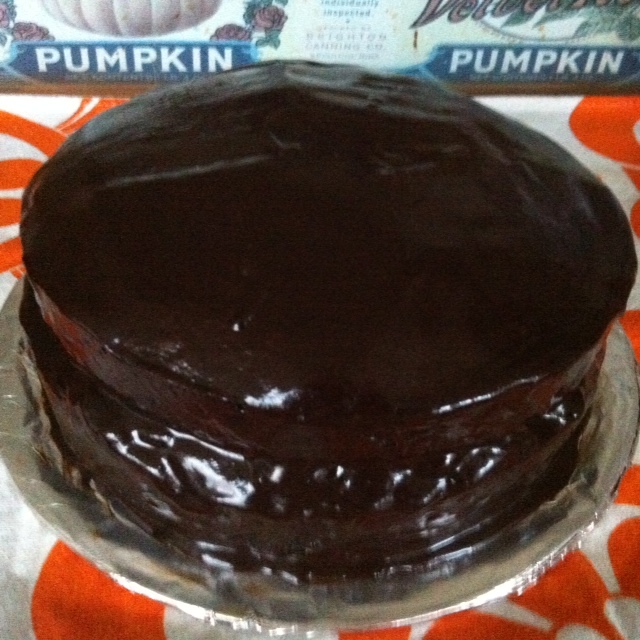 But for now I am loving this moist and delicious looking treat of a cake! What a fabulous cake! I have a feeling Bill would taste even a molecule of licorice flavoring, but I'm sure it's delicious even without it. Nigella has such amazing recipes! Looks lovely - I have always struggled with licorice but, given how I've thawed towards other dislikes such as lemon and mushrooms, maybe I should revisit! Oh, that looks so wickedly dark and delicious. We do struggle to find unusual ingredients here. 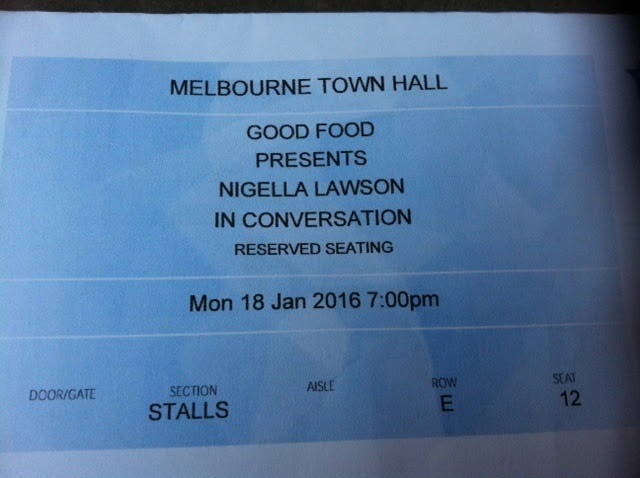 I am chuffed to know Nigella is a kind and nice person, I do so want her to be!! What an incredible combination of flavors. And it looks absolutely delicious. This is another place you can buy licorice powder. If you live in Adelaide South Australia,Jagger Fine Foods, stall 38 in the Adelaide Central Market also sells it for $3.95 (20g). I borrowed the book 'Simply Nigella' from the local library because the recipe was hard to find online. Perhaps your local library can locate a copy if you don't want to buy the book. It's a lovely book by the way with some great recipes, so you may want to. I made the cake and it is as moist and flavoursome as described here. Yes, the liquorice is subtle but you would notice it if it wasn't there. Also the blackcurrant jam adds an interesting complexity.